I hate winter! Too much snow and it’s too cold. Grrr! Anyway, it was faster to go by way of the caves, under the mountain. This shortcut is dangerous: between the unstable soil that threatens to yield under your feet, and all the vermin that swarm in the darkness of the depths. Death can show at any moment. When I got to the entrance of the cave, I saw a group of Halflings. The buggers were very brave to want to cross the passage of Jageldoran. I didn’t have a lot of hope for them. Even if they managed to cross the old unstable gateways, I didn’t see how they could defend themselves against the attacks of wild creatures! I had to hide and sneak to avoid revealing the existence of secret passages only known by the dwarf people. I couldn’t resist taking a look at their progress. The Halflings had chosen to embark on the great, Western ridge. One of them slipped to his death. 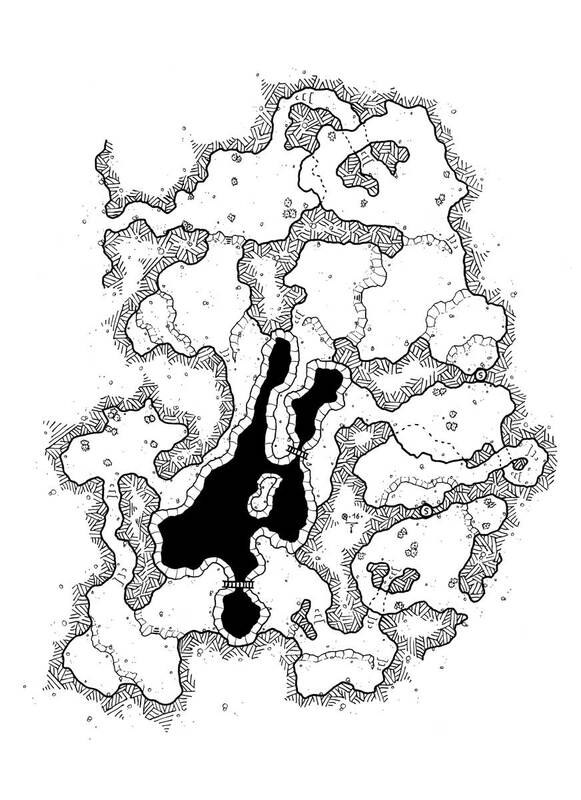 The unmistakeable groan of the great Skopf of the depths began to resonate through the chasm. The smell of blood had awakened him! I knew things would go wrong; goblins always come to this call! I don’t know if any of them have managed to escape. I chose to run away.